8 HOME IMPROVEMENTS TO MAKE THIS SPRING! Brock Doors & Windows Ltd. 8 HOME IMPROVEMENTS TO MAKE THIS SPRING! SPRING IS IN THE AIR—IS YOUR PATIO READY? Spring is in the air and, if you’re anything like me, you’re antsy to make a few changes, redecorate, upgrade, and de-clutter. It’s that time, again! 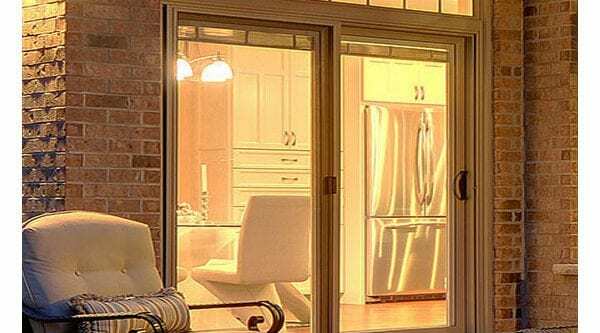 Check out these 8 home improvement tips from the experts at Brock Doors and Windows in Toronto, ON to get your home spiffed-up for the warm weather! For some, this is a DIY project just waiting to happen. If you’re crafty (and have more patience than I do), this is a great way to dress up your kitchen island. Be sure to cut holes (or have holes cut for you) to leave space for outlets and phone jacks. For a more modern look, wider panels are ideal; for a more traditional look, opt for the smaller panels. As guests, neighbors, and family members approach your front door for a visit, what do they see? Consider a cheery door colour for a fresh look! Add flower pots (not too many; 1-2 per every square meter of space). Other inexpensive additions are new hardware and a stylish door mat. Listen, your entryway needs to be functional. There’s nothing quite like welcoming guests into your home with a pile of shoes and clutter behind you. If a traditional closet isn’t an option (or, if yours is too small), repurposed furniture can achieve a unique look while it accomplishes a solution to your clutter! Find a “laptop desk”—these are typically narrow, with a small drawer. Then, add two fashionable storage bins under it for shows, scarves, etc. and a unique bowl on top to drop your keys! Sometimes, all your kitchen needs is a modern light fixture to transform the space. This accomplishes two goals: a reasonably-priced upgrade and added light. Crown molding on the ceilings and molding on the walls is a luxurious touch to any home, in any common room. But, don’t do wall molding without the crown molding—it looks odd! One of the most effective ways to upgrade your home is to have your old windows replaced with new, improved, bigger The more natural light you have in your home, the more relaxing and lovely your space! Also, switch to energy-saving windows in Toronto. It’s 2018; no one has time to be inefficient with their heating and cooling bills! Ever seen a home with a pop of colour added to the ceiling? Highlight a coffered ceiling (you’ll know what this is if you have one!) with a deep navy or burnt orange and keep the trim white! Extra storage space doesn’t have to mean less floor space. Built-ins are easier than you think to add to your Toronto home. Jump online to find easy-to-follow instructions! Springtime upgrades are exciting! Get to work and when you’re ready, give our team at Brock Doors and Windows a call to schedule your free consultation for new replacement windows!